Step bolts are literally used as steps on steel communication and electrical transmission towers. These bolts are generally provided with two A194 grade 2H heavy hex nuts. One nut is tightened against the thread run out. The unthreaded shank, or step length, typically ranges from 6″ to 10″. 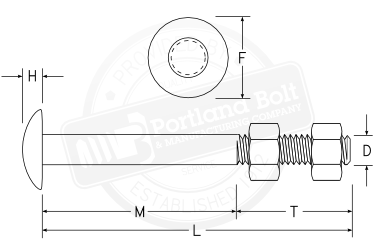 Portland Bolt manufactures step bolts in 5/8″ diameter and 3/4″ diameter. 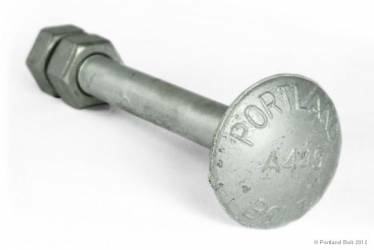 Step bolts are high strength and are typically manufactured to ASTM specification A449.